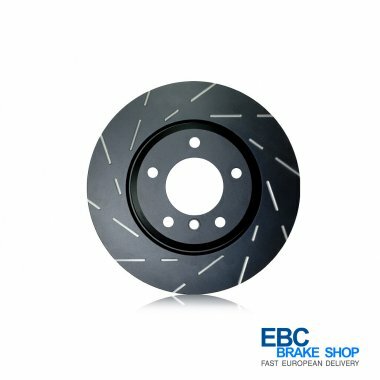 EBC Ultimax Brake Discs The latest super quiet slot pattern for prestige and premium cars requiring discs that are almost totally silent featuring the latest chemically applied corrosion resistant black finish. 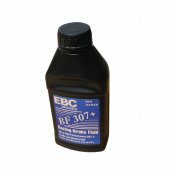 This black coating has been tested with the industry standard salt spray test and proven to last anywhere between 2 and 5 years depending on conditions and represents the ultimate in disc rust prevention. 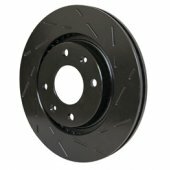 Please note: The illustration shows a disc after it has been used for a period of time and the pad has rubbed off the black coating in the braking area.